The millennial generation is a complicated one, to say the least. Defined as those born between 1981 and 1997, millennials have come of age during a tumultuous time in American history. At a young age, they witnessed the 2008 financial collapse and have first-hand experience with the subsequent fallout in the job market. Older generations have been quick to write off millennials as lazy and entitled. However, if you’re a property owner trying to expand your network and build a rental empire, dismissing this new generation of city dwellers would be a grave mistake. Millennials, like any other generation or group of people, are not homogeneous. They are in fact a diverse group, and are made up of a series of different subcultures. An effective Philadelphia property management company will keep this fact in mind when looking to market to this new generation finding their place in the world. Millennials are made up of everything from successful entrepreneurs and young professionals, to service industry workers and starving artists. These variations in lifestyles are reflected in the preferences different people have while looking for a new space to rent. Generally, millennials in business and the professions are more apt to prefer luxury apartments and condominiums, and would rather live in their own one bedroom place as opposed to sharing with roommates. Conversely, creative types who may be balancing freelance work with a job at a restaurant or bar are more likely to prefer a more cost-effective communal living situation. It’s important for a Philadelphia property management company to stay aware of these variations in order to effectively market to this diverse new generation. While keeping diversity in mind is an imperative in the rental marketing game, there are some constants across the board as well. As any successful rental property owner knows, location may be the single most important selling point for any space. 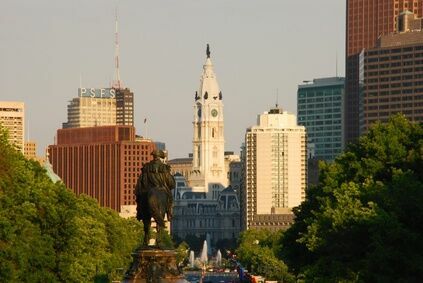 Property owners and property management companies in Philadelphia are very fortunate in this regard, as it is exceedingly easy to appeal to all subsets of millennials when we focus on location. The young attorney and the starving artist may have different preferences when it comes to the format of their living space, but both will in all likelihood be drawn to the abundance of culture and experiences which can only be found in large metropolitan areas. If you’re marketing for luxury apartments and condos, you may want to focus on a combination of on-site amenities and the unique experiences which can be found within a small radius of the building. For example, you’d mention the indoor pool and on-site gym, as well as the variety of high-end restaurants on the same block. For communal spaces like rowhomes and lofts, you would focus on the close proximity of off-site amenities by pointing to the gym within a couple blocks, as well as praising the myriad of cultural experiences nearby (i.e. art galleries, music spaces, etc. ).